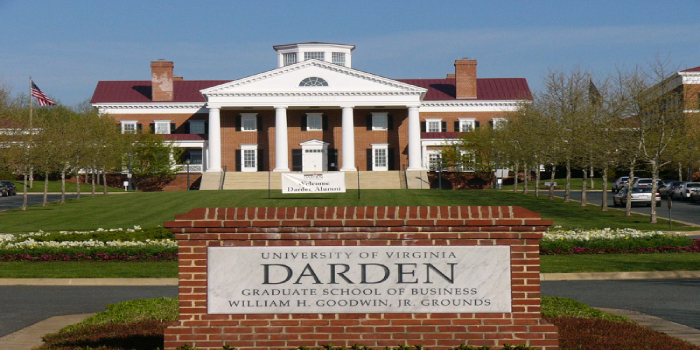 Darden School of Business is a graduate business school in Charlottesville associated with the University of Virginia offering MBA, PhD and Executive education programmes. Careers360 spoke to Dean Scott C. Beardsley about the different programmes offered as well as scholarship available for Indian students along with H1 visa. Careers360: Tell us a bit about the Darden School of Business. What programmes do you have on offer? Scott C. Beardsley: At Darden School of Business, we have three primary degrees – MBA, MS (Business Analytics) and PhD. By far, MBA is the biggest course which is taught at our home campus in Charlotsville, Virginia. We also have another campus at Washington DC. Darden is part of University of Virginia, which is much bigger and one of the top two public universities in the United States. We have an engineering school, nursing school, law school, science institute, architecture, undergraduate business, and college of arts and sciences. There are about 22000 students overall at University of Virginia. Darden school is a global business school where approximately one-third of the students being international. Careers360: What is the difference between a global and a regular business school? Scott C. Beardsley: Some colleges primarily serve the local market or their state but a global business school also has students from other geographies. Secondly, the professors are usually from more than one geography as well. 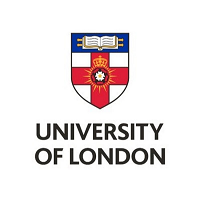 Thirdly, the types of employers and where the students are placed would be more than one country for a global business school. The primary difference is that there is a category of universities that are domestically focused and others that are purposefully recruiting students from all over the world. As a result, the learning environment is also different as students interact with other students from different backgrounds and learn from each other. Careers360: What does Darden School of Business look for in an Indian student? Scott C. Beardsley: The first thing we look for is excellence in whatever the student was doing. There is academic excellence, which is the student performing at a high level in whatever he/she chooses to study. The student could be from any background – engineering, arts and sciences. Secondly, we are looking for students with leadership characteristics. People that are willing to participate in the classroom since our learning environment is active and students are expected to contribute. Thirdly, we are looking for people that are interesting; that are doing something in their life which is more than studying. We want a student body that is a global village – people from different backgrounds, careers, industries, perspectives – that are unified by a desire to learn and be team players. Generally, we are looking for team players that can fit and contribute to the classroom since our environment is not cutthroat but collaborative. According to our data, team players do better in the recruitment process too as more companies are looking for people who can work together. Careers360: What is the minimum experience level you look for in an Indian student applying to Darden? Scott C. Beardsley: We don't like to have minimums but typical range would be 2 – 10 years of work experience. It depends on the person because some students may have had internships since they are 14 years old and some may have started college at a younger age or later because of military service. Every country is different but for regular MBA, 2 or 3 or 4 or a bit more years of work experience is common. The average age at our MBA programme is between 26 and 27. For regular MBA, the range would be from 23 to early 30s while the age for executive MBA ranges from 26 – 50. There is no magic number and it all varies from individual to individual – their capabilities and what they have done. The main criteria being if a student can make a positive contribution to his/her classmates. We are a discussion programme where half of the student’s grade comes from class participation. That is one of the reasons why we don't take students straight out of undergraduate, because they are unable to add real world experience to the discussion. Careers360: Some undergraduate programmes in India take three years while a B Tech programme takes four years to complete. What is the basic eligibility criteria to apply at Darden? Scott C. Beardsley: The only eligibility criteria to apply for the Masters programme at Darden is a Bachelors degree. Student should have completed a Bachelors degree, which could be either three or four years depending on the country and the course. We don't care about the duration of the Bachelors as long as it was completed from a strong university. Careers360: Does Darden have an interview process for students who have applied? Is the interview taken by a single person or a board or committee? Scott C. Beardsley: Yes, we have an interview process for every single candidate who is offered admission. Whether the student will appear for one depends on when he/she applies. If the student applies in the early action round, which is from June 1 to September 7, he/she is guaranteed an interview. For later rounds, the student will be screened for an interview; if the interview doesn’t happen, it means the application has been rejected. If the interview happens, it is added to the student’s file which is then reviewed as a whole. All the interviews are not done by a single person but we only have a single round of interview. It is taken either by someone from the admissions office who covers that particular region or an alumnus from that region. Careers360: With the tightening of student visa norms under the new administration, is Darden doing anything in this regard? Have the number of applicants from Asian countries decreased? Scott C. Beardsley: We don't have the data for this year since the new class begins in August but I wouldn't be surprised if there is a decline. In Darden, applications from Asian students were down in this academic year but not the number of students enrolling. There is a large international student population in the United States and I haven't heard of a single case where the student was denied a chance to study. Careers360: What we seem to be hearing from a lot of applicants is that the questions regarding student visa are getting tougher and stricter? Scott C. Beardsley: I think the concern level of students has risen because they are scared of what they read and see on TV. I am sympathetic to their situation but immigration is a concern all over the world. Most countries request people to have a visa to enter the country; this is not new. People walking over the border has got nothing to do with business education. I don’t see any big changes in study visa except additional questions being asked and more information needed. It is a hassle but we are not hearing from students that they are unable to get a visa. I would like to tell the students to look at the facts and not the narrative. Careers360: What about H-1B visa which is needed to work in the United States? Scott C. Beardsley: Talking about H-1B visa, I would like to say two things. First, a lot of students don't want to work in United States for various reasons. Secondly as far as I know, the number of H1 visas has not changed from one year to the next. There is a change in perception but no change in terms of numbers as the quantity of H1 visas being issued is the same. The amount of demand is greater than the people applying but that has always been the case. The reality on the ground is that our international students are getting salary and placements very similar or better than previous years. I am not seeing any changes except in the anxiety level of the students. The perception is different than the reality. In my first year in India, I didn't get these questions even though many students couldn't get the visa. The narrative is that its all because of politics. There may be new visa rules in the future which might be positive for business schools or highly educated people. There is a possibility that the system will become more meritocratic with a salary threshold. So, people who earn a higher salary will have a better chance to get the visa. Careers360: Are there any other ways to work in the United States? Scott C. Beardsley: Everybody obsesses over the H1 visa but there are other ways to work in the United States. Every student that studies in the United States gets a year of Optional Practical Training (OPT) if the required paperwork is complete. We also have a dual degree called Masters of Science (Data science and MBA) which allows the student to work for 3 years of OPT. Moreover, any student graduating from engineering or the STEM area gets three years. Additionally, there is no visa quota for foreigners in the not-for-profit realms like education. Careers360: How many Indian students are currently enrolled in Darden School of Business? Is there any option of funding for Indian students? Scott C. Beardsley: Between 5 and 10%. We have a lot of students whose parents and grandparents are from India. We continue to admit a lot of Indian students and they do very well at Darden. Every international student that is admitted to Darden is guaranteed full financial aid from us in the form of a loan which we co-sign even if a student has nothing and needs to borrow 100% of the cost including food, boarding etc. He will be lent the full amount and any student that is accepted will be eligible for this. Scott C. Beardsley: We allow India students to compete for most scholarships including the Jefferson scholarship. It includes everything from tuition, room or board to food in the form of a cash scholarship of 200,000 dollars. Students must apply early action to be considered for this scholarship since it is awarded in fall. We also have the Batten scholarship program for technology, innovation and entrepreneurship which is open to Indian students. It is a competition where the candidate must demonstrate excellence in technology or entrepreneurship or innovation along with good academic scores. It could be anything related to those 3 fields, like a startup or innovation as part of a big company. In fact, the majority of our Indian students win partial or full merit scholarships from Darden. Careers360: Are there other modes of funding for budding entrepreneurs beside scholarships? Scott C. Beardsley: There are other modes of funding available to students beside scholarship. Student, once admitted, can come to Darden and continue to build his/her company. We have an accelerator, lot of courses on entrepreneurship and innovation, and regular shark tank competitions. We have all kinds of support for students interested in trying something new. Students wanting to start their own company can get paid, for the summer between first and second year, while they do it. They will be provided with a stipend during the summers to start their own company. Careers360: Darden School of Business has launched a new programme called the Future Year Scholar. Could you tell us about the programme and any additional eligibility criteria for applying to the same? Scott C. Beardsley: The Future Year Scholar programme is open to every student, international or local. If the student is in the terminal year of his/her bachelors, he/she can take the GRE or GMAT and apply to Darden. On getting admitted, the student will win a scholarship of 30000 dollars and can defer his/her admission for 2 or 3 years. So the student can go to work and then come to Darden, where he/she will be eligible for other scholarships as well. There is no minimum but the candidate needs to have a strong application. Probably, an honours student with a very strong academic background since the student has no work experience and we are betting on his/her intrinsic ability. We generally don't believe in minimums because there are differences in the education system of each country. We look at the quality of the university and how did the student do during his/her Bachelors. The choice of discipline is also taken into consideration because that affects the GPA. We are looking for outstanding students but also other things; we are interested in people’s life story and what they have done. For instance – starting a company or being an entrepreneur. We look at the holistic application and not focus on just one part or two numbers.